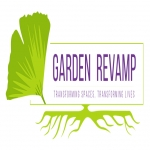 We want to create gardens that work for our clients. Too often gardeners just maintain what is already there without questioning its value. Gardens are dynamic so you need to reassess how they are working and have the courage to remove plants that have outgrown their worth, divide plants, and suggest new plants to maximise the interest in the space available. Once we have created a garden that works well and will deliver year-round interest and colour, then we write up a maintenance to suit. Our aim is to build long-term relationships with our clients and their gardens. We source quality nursery plants from nurseries in Surrey. We are always transparent about our fees and pricing. George is a qualified tree surgeon from Capel Manor College. With several years' maintenance experience and Sarah is RHS-qualified from Merrist Wood with over 20 years' experience in gardening and allotment management. We have worked at public gardens and private gardens in Surrey. with the advice, planning and execution of our garden revamp. We had one south facing long border that was nice enough, but overgrown and every year looked wilder. Sarahs's team came in and have done a great job, the border has been completely revitalised. Old plants have been retained where possible, space cleared for new, old and exhausted plants have gone. the new planting has flowers for every season, plus a good deal of planting to give greenery to use with cut flowers. A mammoth task we couldn't have done without their help.